A fun and cozy celebration of birthdays from the author of the Caldecott Honor book All the World. Stephanie Graegin is the illustrator of numerous books for children, including Super Manny Stands Up! by Kelly DiPucchio, Water in the Park by Emily Jenkins; Happy Birthday, Bunny! by Liz Garton Scanlon; and Peace Is an Offering by Annette Le Box. She earned her BFA from the Maryland Institute College of Art and her MFA in printmaking from Pratt Institute, and she currently lives in Brooklyn, New York. 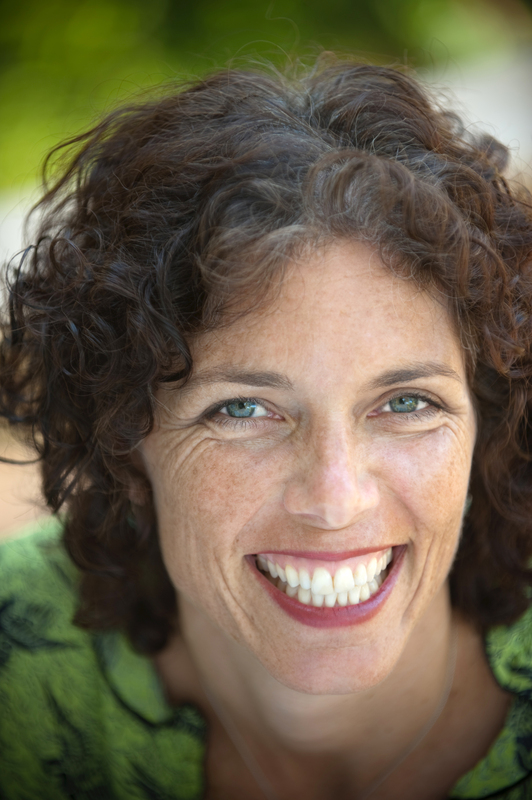 You can visit her at Graegin.com. "Rhyming couplets take an unnamed birthday bunny from the start of her day until bedtime.... Graegin’s pencil and watercolor pictures depict a sweet and cozy world filled with fun, love, guests, and presents. The art and text work beautifully together.... The pictures have lots of excellent detail, such as Mother and Nana both wearing dresses with carrot patterns–one subtle and one less so. Perfect for storytime or individual sharing." "In rhyming verse, a little bunny asks multiple questions about her birthday celebration (“What are these and what are those?”) and receives answers from her family (“Fancy shoes and party clothes!”)...pure sweetness.... The warm, soft tones of Graegin’s illustrations, pencil and ink digitally assembled on cream pages, evoke coziness and contentment and the little white bunny birthday girl is as cute as a button in her golden crown, saffron party dress, and beribboned shoes. The comely cast of woodland animals (including beavers, foxes, owls) resemble cuddly, plush animals, and youngsters will feel at home with the festive critters in their colorful clothing and party hats...something to tide over kids for whom a whole year seems too long to go between birthdays." "A little bunny asks plenty of questions on her birthday, and each time, she receives a rhyming answer.... The short lines of text read aloud well, and the page turns between questions and answers give children a chance to respond in their own ways.... 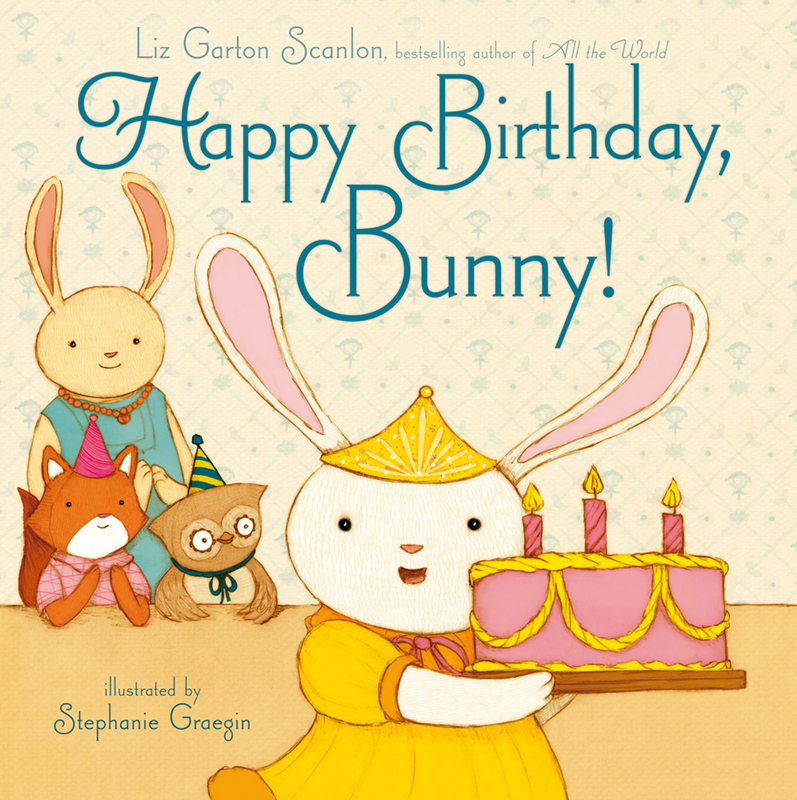 This joyful introduction to birthdays focuses on a bunny who is old enough to articulate her questions but young enough to see the wonder of it all." Book Cover Image (jpg): Happy Birthday, Bunny!